Math is one of those subjects that can really rank low on the “favorites at school” list. Usually you hear things like lunch, recess, etc. So I really love capitalizing on fun activities that not only get kids begging to participate but also those that teach math! 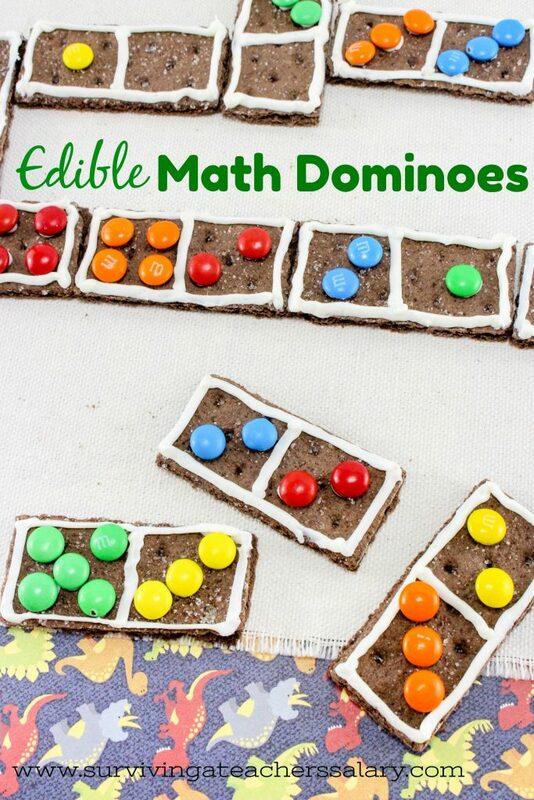 These Edible Math Dominoes are such a fun hands-on way for kids to practice their math skills while having a special treat! 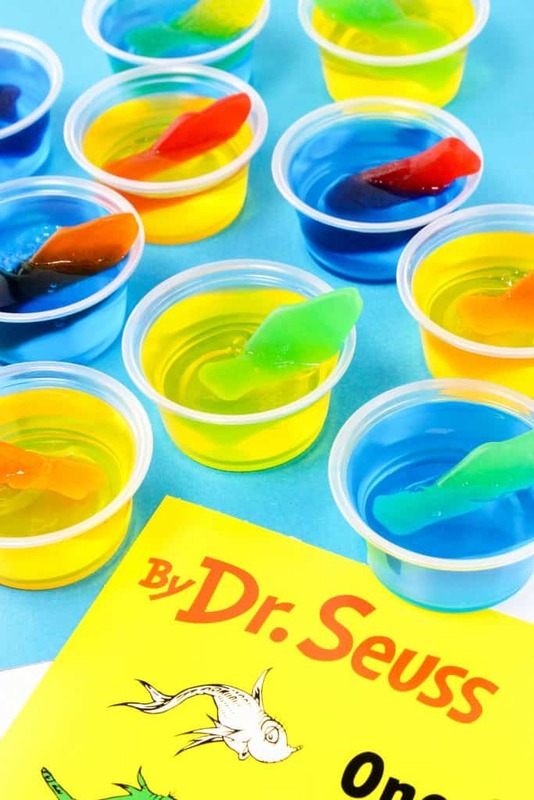 This project can easily be altered for any food allergies in the family or classroom! If you’re looking for some other cool math ideas check out our DIY Rubik’s Cube fridge tutorial, No Sew Felt Money, Learning Hack for the Number 9, and our free printable Numbers 1-50 worksheets! 1. 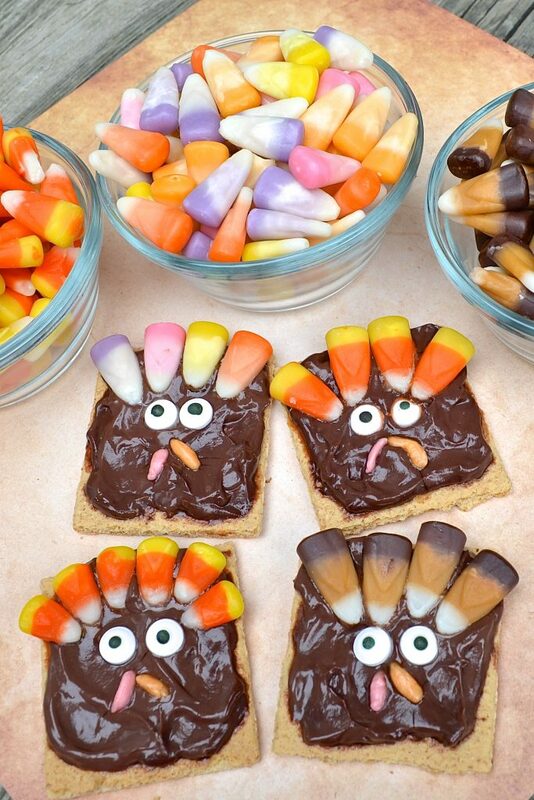 Break the graham crackers into 4 sections. 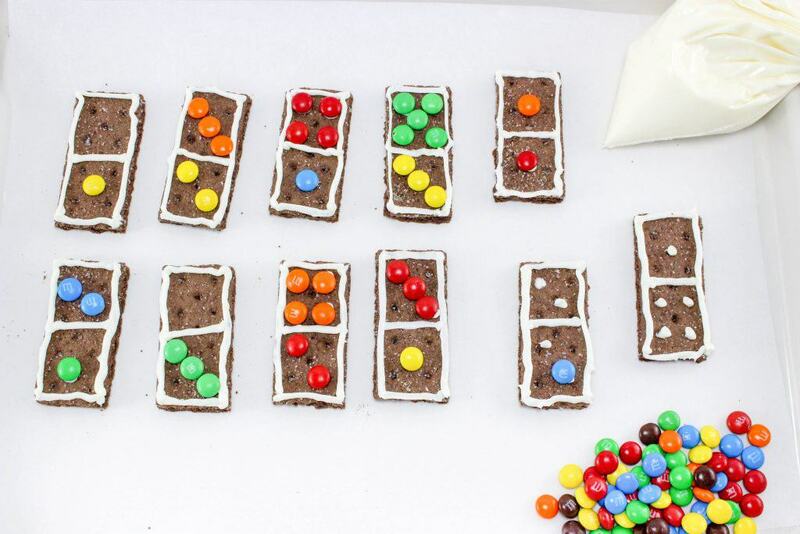 You will have 4 rectangle pieces from each graham cracker sheet. 2. 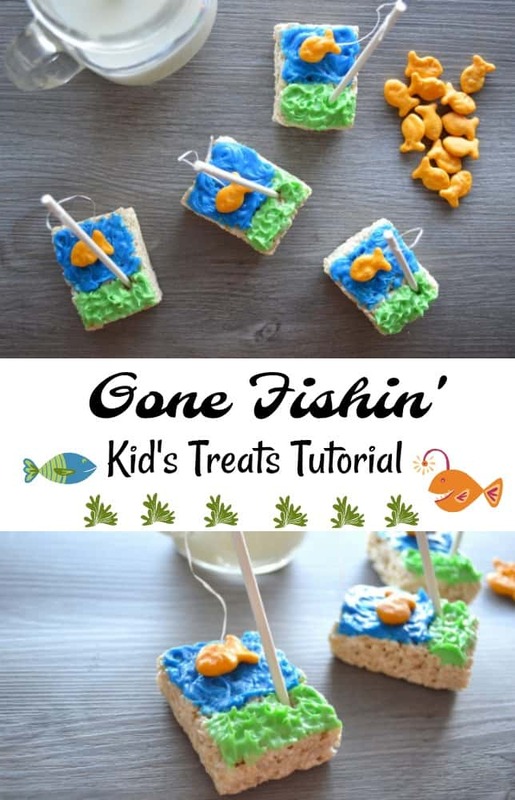 Spoon some frosting into a small Ziploc bag or piping bag, cut off a small corner, and pipe an edge around each cracker and across the middle. This will outline the dominoes. 3. Then pipe tiny dots on each side of the line to represent the numbers. (this helps secure the M&M’s in place) Make sure to make the numbers of dots random. 4. 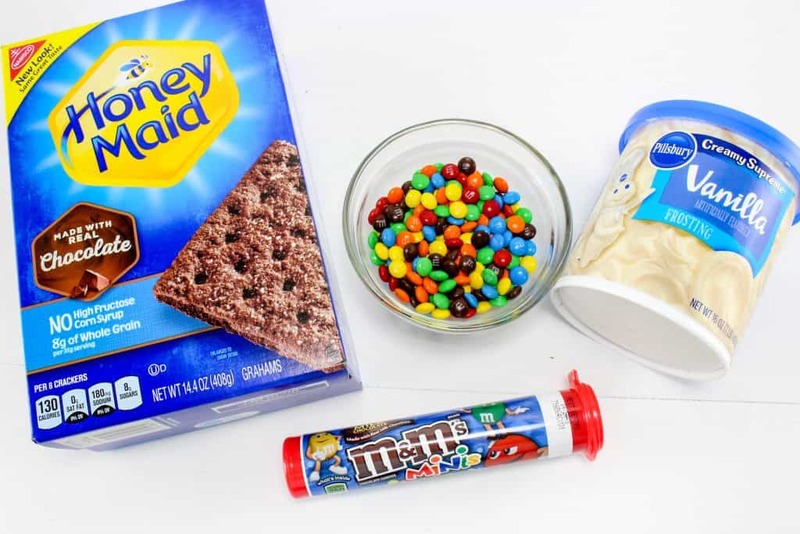 Place an M&M on each frosting dot. 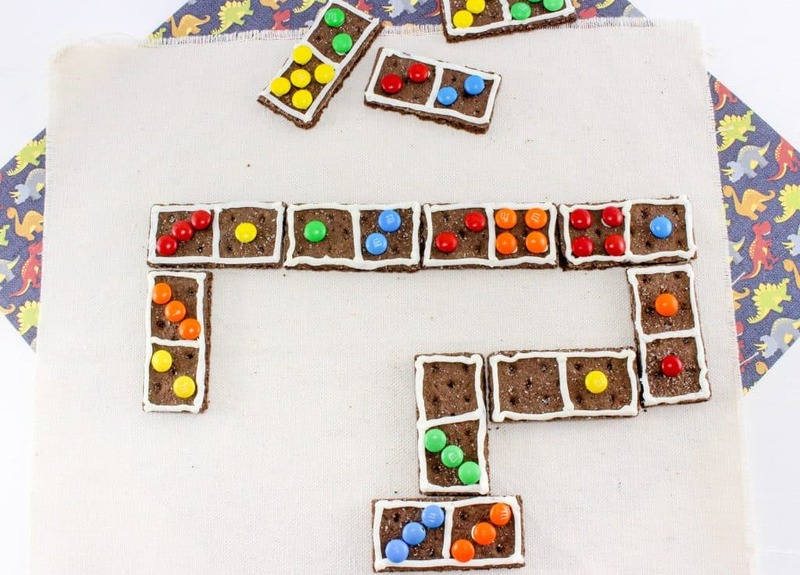 There are all sorts of fun ways to get kids involved in both baking and in practicing their mad math skills! 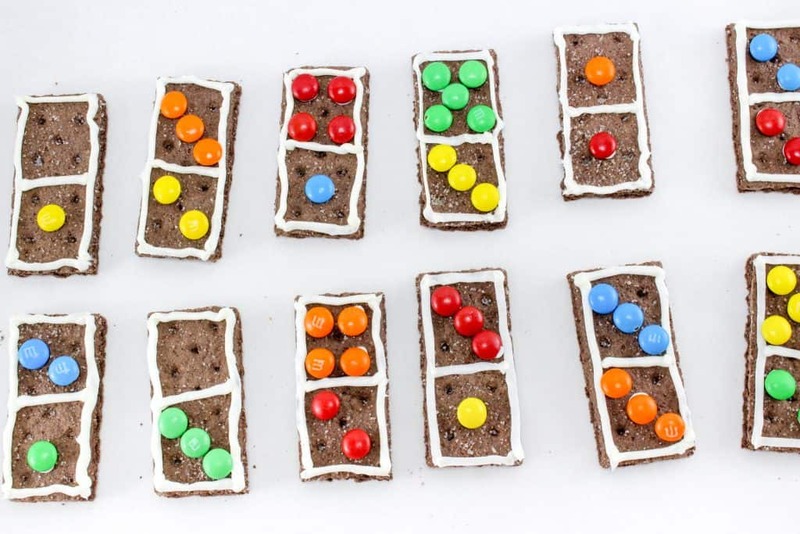 Check out our MATH Pinterest board for other fun math-related activities! Use dominoes to play memory match! STEM Activity: Use dominoes to stack them as high as you can! Domino War – Same as the card game but with Dominoes!